Flying into Fort Lauderdale is a breeze when you take a private charter flight with Bolt Jets. As the number one private jet charter company in the USA, we are able to tailor any charter flight to Fort Lauderdale for any event. So whether it’s an important business meeting in the city center or a ladies’ weekend break in the sunshine, our private charter flights and helicopter hires are the best way to travel. We have access to over 1,200 infinitely comfortable and luxurious private jets waiting to fly into Fort Lauderdale from anywhere in the world and all of our private charters are surprisingly affordable. Our private charters can accommodate different party sizes, whether it’s a bachelor party or a group of VIP clients. As Bolt Jets is renowned for impeccable customer service, every one of our flights is guaranteed to be a superb experience. Bolt Jets, there’s simply no other choice. All of our clients have access to the Bolt Jets concierge team, on hand 24 hours a day, 7 days a week and 365 days a year to manage every private charter flight. They can even organize the finer detail, that’s the level of service we know our clients want and we always deliver. This buzzy and lively city is one of the many popular tourist and business destinations in Florida. Not too far from Miami, it’s a great place to stay on route to Disney too. Known for its long days full of sunshine and conveniently situated on a beach, take swimwear as it’s the best place to kick back and relax. Fort Lauderdale Beach is beautiful. 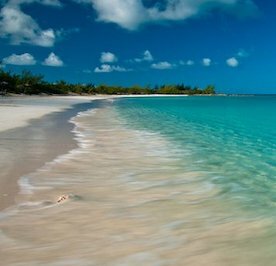 Picture white sand, swaying palm trees and clear blue sea with the right amount of breeze to enjoy the glorious weather. Not as raucous as Miami Beach, it’s the best place for families with children. Head down to Sawgrass Recreation Park and gaze in wonder at the alligators and Floridian wildlife. The recreation park features airboat tours (although the best way to really soak up the views is on-board one of the Bolt Jets’ fleet from above) where visitors can see the flora, fauna, birds and fish. Airboat tours go regularly throughout the day and at night time too. In the city center, there’s the Riverwalk which is the arts and entertainment area of Fort Lauderdale where visitors can take in a show or enjoy some of the hospitality that Fort Lauderdale has on offer. Shoppers beware, there are so many different boutiques, malls and outlets shopping areas to enjoy that it’s a good idea to schedule specific shopping time! Las Olas Boulevard is home to over 65 different retailers (including a treasure trove of designer names) and also has three museums plus 10 art galleries to experience. It’s also one of the best areas to eat with plenty of al fresco restaurants with outdoor areas spilling out onto the street. The Hugh Taylor Birch State Park sits between the Intracoastal Waterway and the Atlantic with a wealth of activities for everyone, young and old. Try canoeing or kayaking on one of the lakes or bike the two mile long route. There’s also the Coastal Hammock Trail which is on foot. For those who enjoy the solitude of fishing, there’s plenty of fresh fish waiting to be caught. The area is also a haven for keen bird-watchers. For Fort Lauderdale culture, don’t miss the Stranahan House Museum which features many interesting exhibits of Floridian life in the 1900’s. The house was originally built by Frank Stranahan as a trading post. There are three guided tours daily and it’s well worth a visit. There’s plenty for everyone to enjoy when it comes to eating out in Fort Lauderdale. From the classic all-American burger to fine dining and world cuisine. Don’t miss out on our pick of the best restaurants in Fort Lauderdale. Of course, remember, if there’s no time to enjoy what’s on offer, the concierge team at Bolt Jets can organize any type of meal to be enjoyed on-board, just ask! Las Olas features some of the best restaurants in the whole of Fort Lauderdale and buzzes with people all day and night. Try Mango’s Restaurant and Lounge which serves breakfast and lunch, it is a very popular place for locals and tourists alike. Or visit Asia Bay for spectacular sushi and Thai food. This restaurant is right on the waterfront so diners enjoy stunning views. For good old traditional American dining, go to Big City Tavern for burgers, shakes, fries and onion rings among other fun-food items on the menu. Steak lovers will simply adore Chima Brazilian Steakhouse which serves an array of different cuts of meat alongside some incredibly flavorsome side dishes. Go hungry, the portions are enormous. For casual dining at lunchtime, the Floridian is the perfect spot. Grab a freshly chopped salad or a juicy burger. There are also plenty of different sandwich varieties to enjoy and a large collection of alcoholic and virgin cocktails. Upscale diners will really revel in what The Royal Pig and YOLO has to offer. Both of these are known as the hot spots in Fort Lauderdale but if somewhere quieter is what’s needed, head to The Chimney House Grill and Café. This restaurant serves Latin-American fayre and it really sizzles! Prefer Italian? Head to Salita Las Olas for the very best Italian food in the area, there’s plenty of fresh pasta on the menu not to mention sumptuous sauces. Speak to our dedicated concierges team to arrange for dinning options from your choice of any Fort Lauderdale restaurant during your charter flight out of Fort Lauderdale. Our private charter flights and helicopter hires to and from Fort Lauderdale offer everything to make every journey highly pleasurable. Bolt Jets won’t compromise on quality and our customer service is second to none. With a dedicated concierge service there for all our clients, all day, every day, nothing is too much trouble. That’s what sets Bolt Jets apart from the competition, there is no competition! 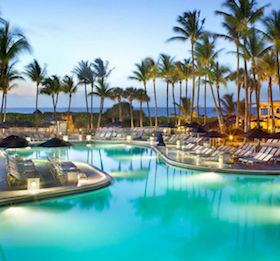 Planning a corporate trip to Fort Lauderdale? For five-star business travel to Fort Lauderdale there’s no other service that hits the mark like Bolt Jets. We are the leading American private aviation company and we know what it takes to provide top quality service. Leave it to us to organize every aspect of any corporate business trip to Fort Lauderdale. We can book onward journeys, organize private transfers and even advise on the top hotels in Fort Lauderdale. There’s no need to look elsewhere, when superior private aviation really matters, using Bolt Jets makes it count. There are different airport options when chartering private jets to Fort Lauderdale.